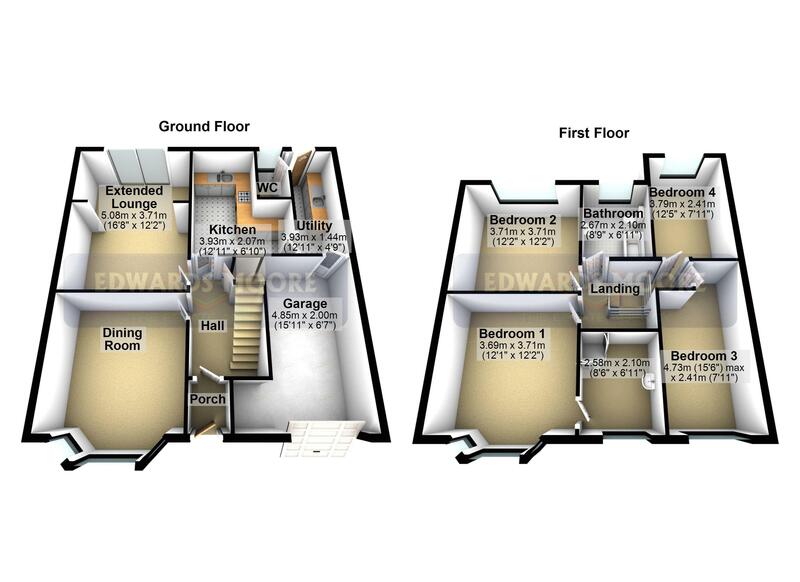 Edwards Moore are proud to present a spacious traditional property in this most sought after of locations offering spacious living accommodation. 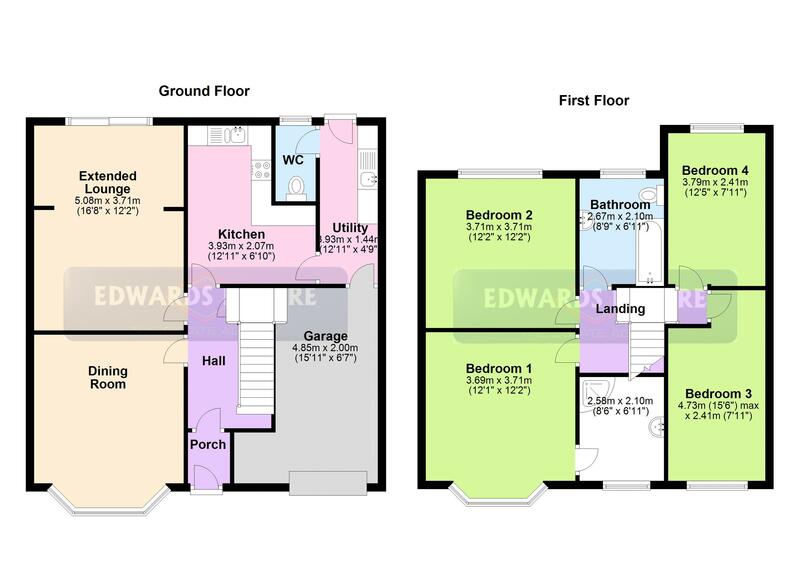 Having enclosed porch, hallway, extended lounge, dining room, kitchen, utility room, ground floor w.c, master bedroom with en-suite shower room, family bathroom, double glazing and gas fired central heating. Blocked paved driveway to fore and rear garden. Viewing recommended. With uPVC door to fore and glazed door leading to. Having stairs off the first floor landing, radiator, under stairs storage cupboard, down lighters and glazed door leading to. Having double glazed leaded bay window to fore, radiator, ceiling coving, ceiling light point and two wall light points. Having double glazed sliding patio door to rear, radiator, four wall light points and ceiling coving. Having a range of wall and base cupboard units, four ring gas hob, plumbing for washing machine, one and half bowl stainless steel sink unit with mixer tap over, double glazed window to rear, part tiled walls with intermittent pattern, oven, tiled flooring and glazed door leading to. Having base cupboard units, stainless steel sink unit with single drainer and mixer tap over, part tiled walls, tiled flooring, radiator and doors leading off to. Having a low level W.C. and double glazed window to rear. Having a range of fitted wardrobes, ceiling light point, radiator and door leading to. Having shower, wash hand basin, double glazed window to fore, and ceiling light point. Having a double glazed window to rear, fitted wardrobe and radiator. Having an extensive block paved driveway with parking for access with access to. Having a good sized patio area with lawn and boundary fencing.